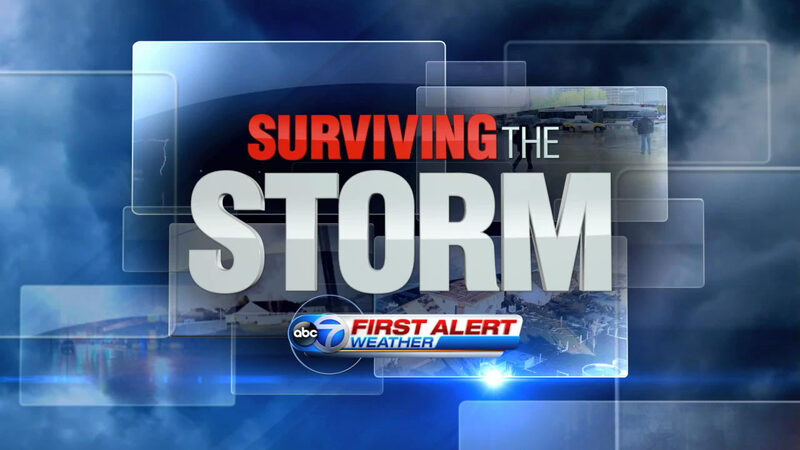 CHICAGO (WLS) -- With the spring storm season upon us, the ABC 7 team of meteorologists, Jerry Taft, Cheryl Scott, Tracy Butler, Phil Schwarz and the newest member, Larry Mowry, bring you 'Surviving the Storm'. During this half-hour special, they explain why severe weather happens, the tools they use to predict it.. and how to stay safe, when storms hit. As this tiny town marks the one-year anniversary of the EF4 tornado that left two women dead, we check in on rebuilding efforts in Fairdale. As this tiny Northern Illinois town marks the one-year anniversary of the EF4 tornado that left two women dead, we check in on rebuilding efforts in Fairdale. More than 60 homes were damaged but no Federal, State or County funds were provided for the recovery efforts so, a group of citizens formed the DeKalb County Long Term Recovery Corporation. The non-profit, all-volunteer group, has raised more than $1 Million to help the community rebuild. At least 14 new homes are being built to replace those destroyed.. and dozens damaged by the storm are being renovated. The town recently marked the somber anniversary by commemorating a bench bearing the names of the two tornado victims. The widower of one of those victims shared incredible footage he recorded of that twister as it ripped through his home. Clem Schultz decided not to rebuild and return to Fairdale, he now lives 40 miles away, closer to family. DeKalb County Long Term Recovery Corp.
LIVE Doppler 7 Max helps give our team of meteorologists the most accurate and current look at any weather system. We have total control of LIVE Doppler 7 Max, which means we have near real time updates, allowing the First Alert Weather Team to bring viewers the first alert in severe weather. LIVE Doppler 7 Max is the top of the line in radar technology. It was proudly manufactured in the US at Enterprise Electronics Corporation in Enterprise Alabama. ABC 7 is the first TV station in Chicago to own a S-Band, dual polarization Doppler radar. While the National Weather service radar is performing what's called a full volumetric scan which can take several minutes, LIVE Doppler 7 Max is able to sweep the Chicago area in a minute or less. Having access to both radars, the First Alert Weather Team has the best technology at their fingertips to provide our viewers the most accurate forecast. Valparaiso University was among the first to launch a student storm observation team. Valparaiso University has long been home to one of the country's most highly-regarded Meteorology departments and was among the first to launch a student storm observation team. The official name is Valparaiso University Storm Intercept Team... or VUSIT. These aren't your typical storm chasers though, these Valparaiso University Meteorology students go in search of storms each spring and summer but they are there to study, provide data to the National Weather Service, even help with forecasting. Professor Bart Wolf, Ph. D. leads this student team of 17 all over so-called 'Tornado Alley' for two 11-day trips each summer. They caravan in 4 vehicles, videotaping, gathering data from their weather balloons and for many students, sometimes seeing their first tornado. They always maintain a safe distance of at least two miles away from the eye of the storm. These trips sometimes rack up as many as 5-thousand miles. Sometimes residents have just a matter of minutes to move to safety, once a tornado touches down. Sometimes residents have just a matter of minutes to move to safety, once a tornado touches down... but a Chicago-area scientist believes he may've discovered a pattern that allows him to predict severe storms two to three weeks in advance. For nearly 2 years, College of DuPage Associate Professor Victor Gensini, Ph. D., studied historic weather patterns across the entire United States. In the study that was published by the American Meteorological Society and by Forbes Magazine, Gensini says he can tell by analyzing jet stream patterns which areas of the country may see severe weather in the next couple of weeks. Gensini just partnered with the National Weather Service of Chicago to begin longer-range studies on this same topic. Practicing safety during Severe Weather is something our children do each school year. Practicing safety during Severe Weather is something our children do each school year, in the form of tornado drills but -another- key to staying safe is basic knowledge about storms. Tracy Butler tagged along with 36 Chicago third graders from St. Robert Bellarmine School who went on a field trip through 'Science Storms' at the Museum of Science and Industry. She answered their questions and helped them learn how and why severe weather forms, the kids even talked with Tracy about ways they can stay safe. The American Red Cross has an important checklist of the items everyone should have on-hand. When storms hit, power outages are an all too common occurrence... but the American Red Cross has an important checklist of the items everyone should have on-hand, in the event of a power outage. In fact, they even offer pre-assembled emergency kits!